The best time to start feeding a foal is two months before weaning. Once a foal has been weaned it is up to you to provide it with a good diet. Remember you are creating the foundation for strong bones and muscles that will prevent problems later on in the horse’s life. It is important that a young horse’s diet has an adequate amount of essential trace elements, for example copper and zinc, to promote optimum cartilage and bone growth. Protein should also be included in the foal’s diet as it is vital for cell renewal, as well as tissue and muscle repair. ­Protein and energy needs to be ­carefully ­balanced. Young stock feeds contain high levels of trace elements. You will need to feed your foal between 2kg to 3kg per day, mixed with 500g of chopped lucerne, as the young horse needs enough energy for its development. When a filly (female horse under the age of four) has followed the correct diet from the start, she should already have reached 90% of her mature height at this stage. Her diet needs to be based on good-quality grazing. If you stable your ­youngster, it is extremely important to have a constant supply of grass. 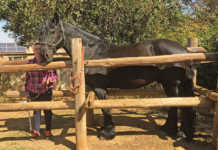 The young gut is very sensitive and a constant flow of good quality hay is essential to the horse’s health. 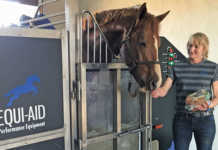 It is also a good idea to soak the hay that is hung up in the stable, as young horses are susceptible to the ­harmful mould spores and dust particles. Very often hay and grazing lack some of the key elements required for further development of the foal. So it is a good idea to introduce a colt or filly to a cube or meal designed for youngsters. 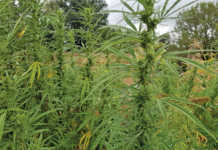 Feed ­containing soya hulls, lucerne and oil is recommended. These ­ingredients are digested slowly, ­making the release of energy slow and ­constant. This will ­promote both a steady ­temperament, as well as good growth. Contact Kim Dyson on 082 888 6511.